This article was originally published in Equine Wellness Magazine. In my experience, there are riders who love to play and riders who love to be precise. So which is the best approach -- precision or play? The answer is both! Play, to me, is something fun that involves exploring range of movement. It’s integral to physical and mental development, and creates movement possibilities. We can then choose what we want to be precise about. Precision is about recreating a clear picture with great focus and clarity of communication. Precision develops specific skills that allow you and your horse to play at a higher level. When we balance precision and play, we find that one is always helping develop the other. A common analogy is learning to play music. You need the precision of the chords and scales, and then you need the play of improvisation. Here’s how dragging my arena helped me understand this even better! Over time, my arena drag got a little kink in it and one of the metal things that stick down got stuck up instead. But it still basically worked so we carried on. My assistant efficiently dragged the arenas precisely the same way every day, and they looked beautiful each morning. But a funny thing can happen when you are that consistent in your patterns. Everything about the pattern becomes reinforced: the good, the bad and the ugly. Because the arena was dragged so precisely, the teeth that dug deeper always dug deeper, and the teeth that stuck up, always went shallow. Furrows were forming. The perfect repetition of a small imperfection was creating a bigger imperfection. What was equally interesting is that my assistant didn’t see it. I didn’t either, and I was riding and teaching in the arena every day. It wasn’t until a month went by and I dragged the arena myself, that I saw the flaw. When I changed my perspective, I could easily see the imperfection, and it became hugely obvious. My arena looked like it was ready for planting corn! I spent the next few days dragging the arena in more playful ways. I thought how ironic it was that in order to achieve a truly consistent footing, I needed to vary the way the arena was dragged, especially when using an imperfect tool. Playfulness erased the problems of “imperfect precision” and gave me a fresh start. Functional symmetry – it’s best if I eliminate the original flaw (in this case, fix the drag) Variety/inconsistency – this will lessen the damage of any core asymmetries (I dragged the arena in different patterns; it was much less boring this way too!) Observation – look at things with fresh eyes every dayI also related this lesson to training, especially the gymnastic development of the horse. The reality is that the equine body, and our own, are beautiful yet imperfect tools, so resetting through playfulness helps clear any “ruts” we may get into. Anything we do can make itself permanent if we engrave it into our lives through sheer repetition. Be aware of what you are repeating. 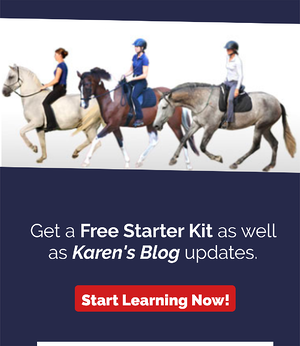 There is no recipe for balancing the precision and play you do with your horse (see sidebar for a few examples). An implied ingredient in each, though, is that you and your horse are together. Play does not mean your horse is ignoring your requests, and precision does not mean you are forcing or restrictively holding him. Combining two qualities From a mental/emotional point of view, play can give a fresh perspective (as when I looked at my arena differently), while precision can bring clarity and understanding. An attitude of play can keep things light and fun even when you’re focusing on precision. When you have a true balance of precision and play, you can do anything. You can stay where you are, or you can change. You can sustain that steady working trot forever, not because it is the only trot you can do, but because you have played around and have chosen this one in this moment. You can keep a light playful attitude at the same time you are focused and precise. Whenever you want two qualities at the same time, alternate between each until you feel them combine. Some people like play and some like precision. Tempt yourself to spend a little more time doing the one that does not come natural to you and you have a better chance of true balance. Are you creating what you want with your horse? Have you played with all the possibilities? Are you precise in your practice? If you stay aware, effective and adaptable, you have a greater chance of creating consistently good results (and nice, fluffy arena footing!). If you enjoyed this article, you will LOVE the Video Classroom. There are hundreds of videos where you can watch theory being put into practice. Observe Karen and she plays with horses and students just like you. You will see the actual (sometimes messy) process, not just perfect examples. New videos are added every month on everything from Partnership to Piaffe, with one consistent voice guiding you through. Includes a closed Facebook group for members only that is the MOST postive supportive group of humans you will ever meet in the horse world!